In the volume details panel, tick the show wiggle option to quickly overlay wiggles on the seismic section. 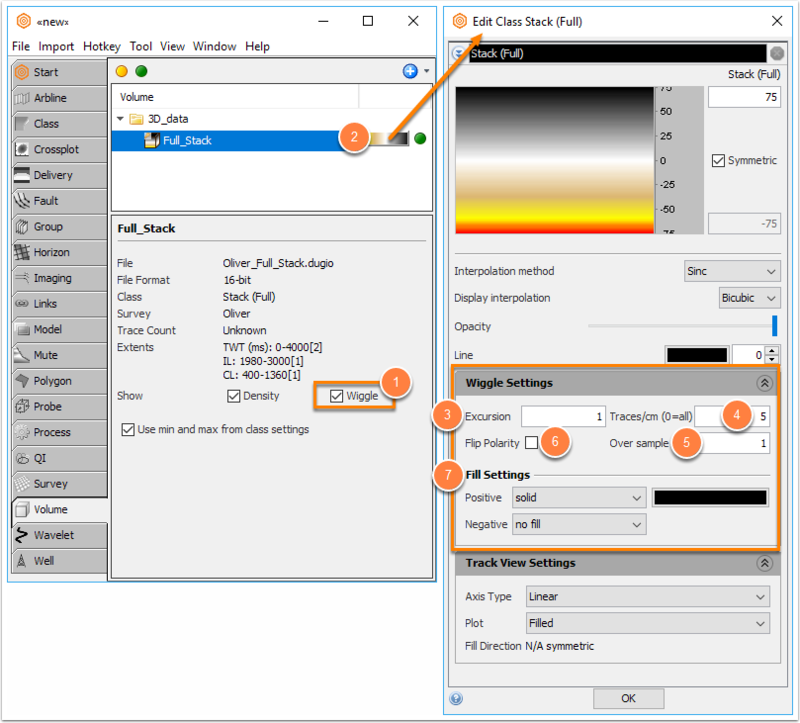 Wiggle display parameters are controlled via the Class settings. Excursion controls the the width of the wiggles. 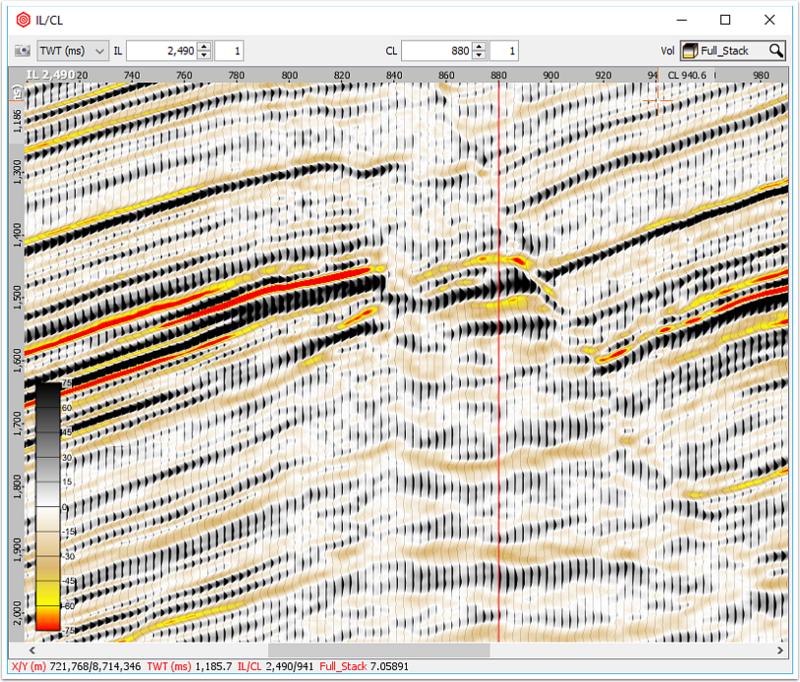 The default is 1 and increasing the value allows the wiggles to overlap neighbouring traces. Set the wiggle density by adjusting Traces/cm - by default this is set to 5 (per cm). Increase the oversample amount to increase the smoothness of the wiggles. Flip polarity performs a quick polarity flip on the trace when it is drawn. Finally, use the fill settings to configure the wiggle colour fill. Choose the best colours for your workflow!